Bit of a late in the day Sunday Stash due to not being able to photograph stuff myself (smashed phone screen too costly to replace). I’ve read a few things recently about how much fabric to stash for quilt backs, I’ve gone for 3 metres in the past only to discover to my cost that it wasn’t enough! 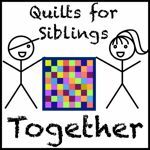 So this time I’ve gone for 4 metre cuts, and at just £2.20 per metre I don’t need to have a quilt in mind for it to back! 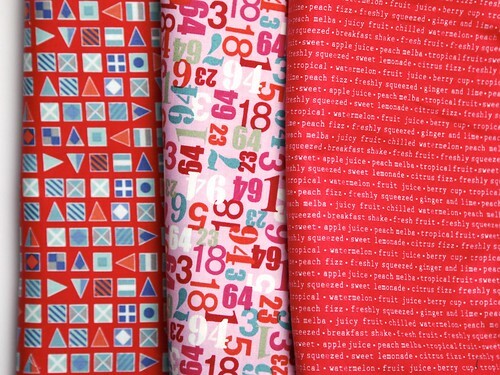 Left to right: Nautical Flags on red by Makower, Little Monsters Numbers in Pink by Henley Studio for Makower and Juicy words on red also by Makower. 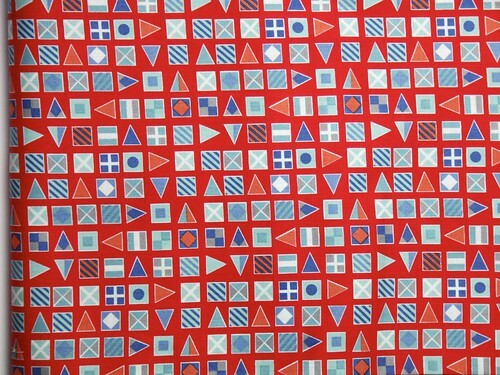 I have a potential quilt in mind for the nautical fabric, I’m already planning it but chances are I won’t make a start until next year. 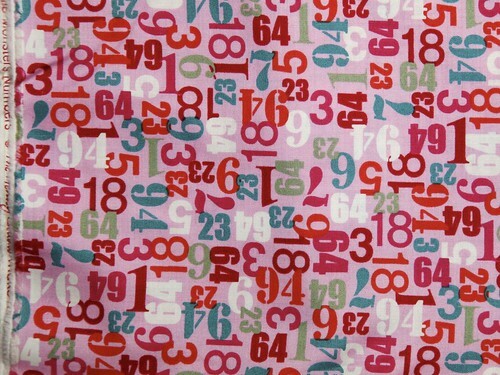 I have no doubt that this will make an excellent back for a ‘girly’ quilt or even a couple of baby quilts. 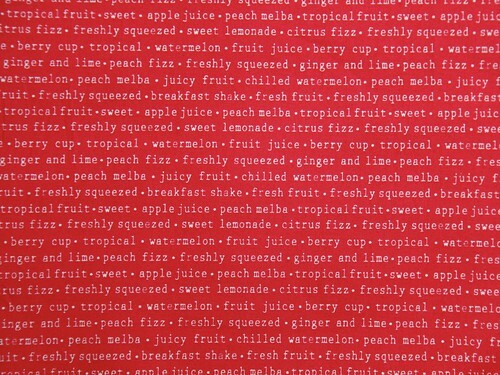 Thanks to Fabric Guild for these bargain backs, postage is very reasonable too and being in the UK no additional fees. You can if you prefer pay £2.20 for just a fat quarter of some of these prints if you prefer! 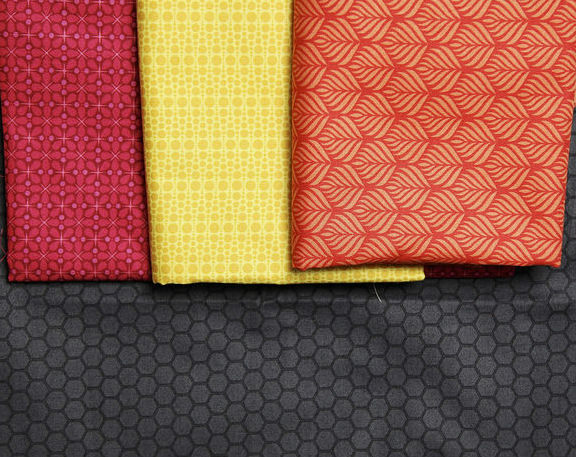 I’d not seen these fabrics before, they are from The Color (Colour) Collection by The Modern Quilt Studio for Andover. It’s a range of tone on tone fabrics, which would be great blenders. I’m using the charcoal honeycomb for the background along with the orange fans, red flowers and yellow bubbles. I bought all but the yellow bubbles from the Fabric Guild, they didn’t have the yellow so I had to source that from elsewhere. Even though it came from a UK store it took ages to get here because the person writing (?) the label miswrote my postcode. I’m pretty disappointed by the customer service, when I emailed telling them that 6 days after ordering (and being told it was despatched) it hadn’t arrived they asked me to wait a couple more days and then they would contact the post office. I’ve let them know it’s arrived and why it was delayed but not had a response – well I guess I won’t be using them again! Anyway rant over, I’ve already cut in to these and my plan is coming together nicely! Love your fabrics, especially the nautical one. I’ve always wondered about how much stash to purchase for backing fabric. Thanks for sharing that helpful information.